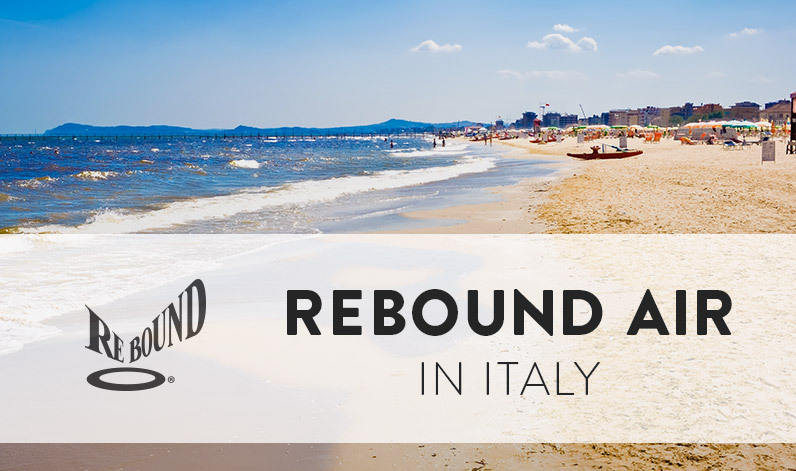 Imagine your perfect Italian vacation, you eat at some of the world’s finest restaurants, you see famous historic landmarks, and you take a rebounding class on the beach. That’s right, it appears as though Rebound Air has now become part of the Italian experience. Al, known as the father of the rebounder, recently visited Italy to take part in the Annual Wellness Convention in Rimini, Italy. 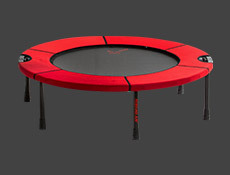 While there, Al was pleased to find that the rebounder was being used and well liked, even changing lives. Finding a little time to explore and enjoy himself, Al set off for the beach. While there, he found a rebounding class taught by Lamberto Livi. Livi teaches 2 rebounding classes a day on a portion of the beach. He also teaches other rebounding classes during the months before and after summer. Livi was happy that Al was there and let him talk to his classes, who were thrilled that they could learn from the pioneer of the rebounder. Livi, who is in amazing shape thanks to his rebounder, told Al that he used to have a bad knee, but that it is now better because of his regular workouts on it. At the Wellness Convention, Al joined Cristiano Verducci, who is the main distributor of the rebounder in Italy, to talk about this great fitness machine. 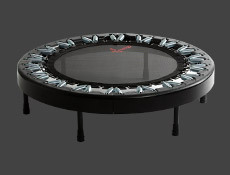 Verducci has done an amazing job to help educate Italians on the benefits of the rebounder, and he is confident the rebounder will catch on in other countries as well. At the convention, Al participated in a press conference which will help spread the word. He enjoyed answering the questions while the translators relayed his words. 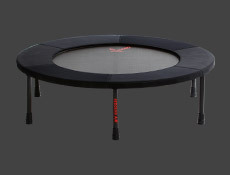 Al is pleased with the growth and wide reach of Rebound Air and is looking forward to the future as people all over begin to use the rebounder. As they do, they will see the benefits of a healthy life.